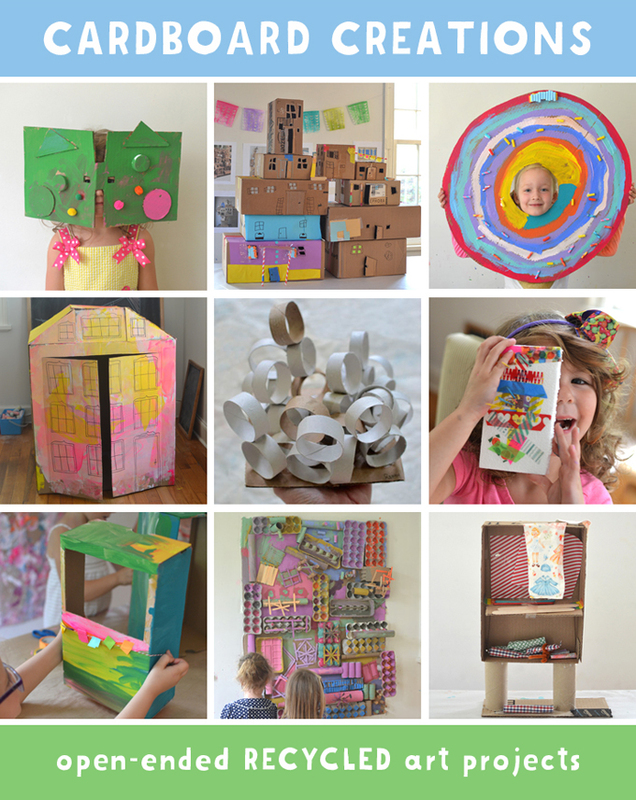 Buy Cardboard Creations here on Amazon. 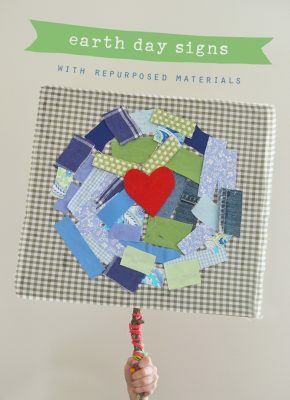 Or on Book Depository if you are outside the U.S.
Do you look at every recycled item as potential art material? Are you wondering what to do with them? 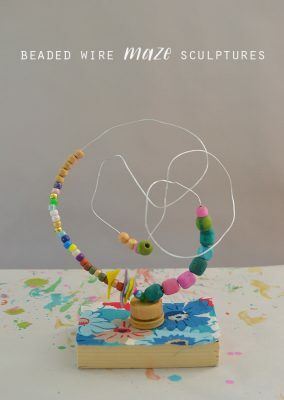 Have you envisioned your children using these materials to make stuff and explore their imagination? Well if you’ve answered yes to even one of these questions, I am here to tell you that my new book is made for YOU. I know you will love it as much as I do. – These are not “crafts”. Your child won’t get frustrated. – With open-ended projects, children will feel successful because there is no right or wrong. Just set out the supplies, and for the most part, let them explore. 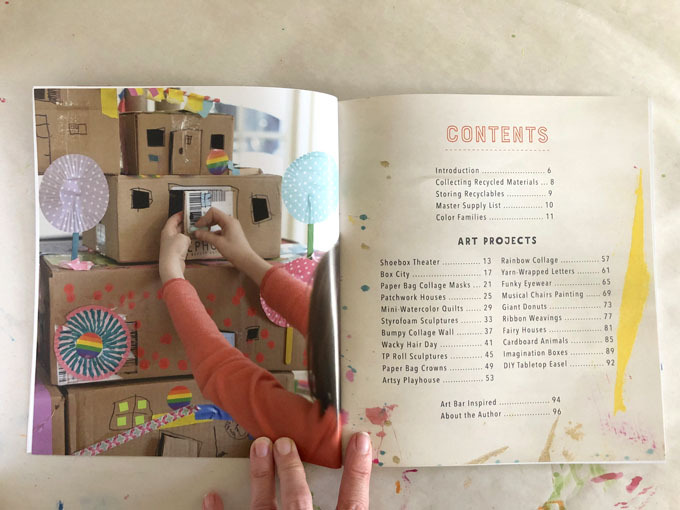 – Cardboard is the predominant “free” material that we use, but projects also incorporate milk cartons, styrofoam, paper bags, cardboard tubes, and so many other things from around the house. – At the end of each project, there are at least five ways to extend the project, and five ways to make the project different. 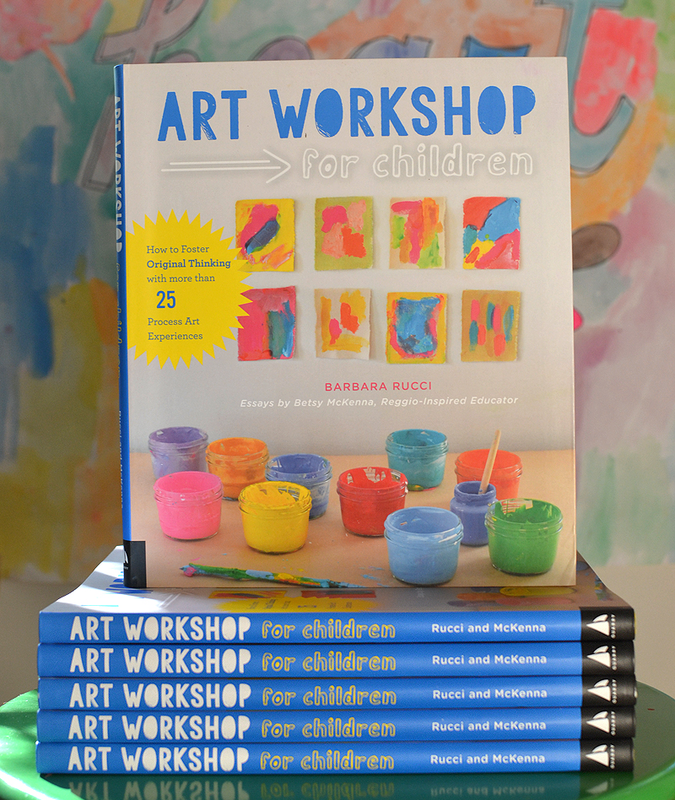 – Perfect for classrooms or multi-age kids at home where skill level differs. 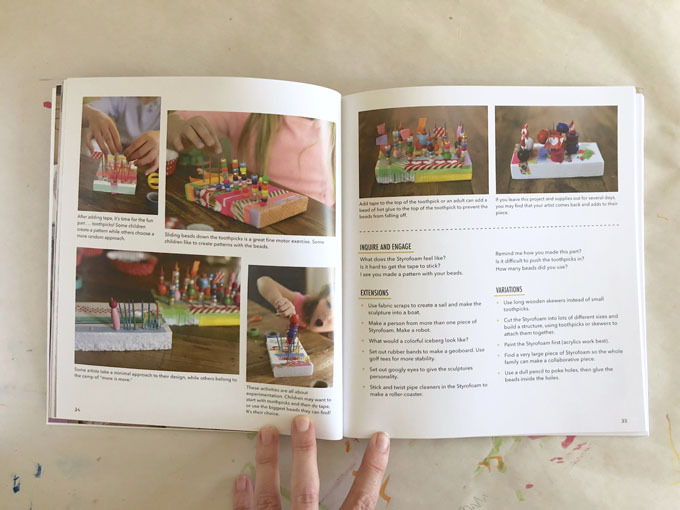 – Also included are phrases to help engage your child in conversations about their creations. 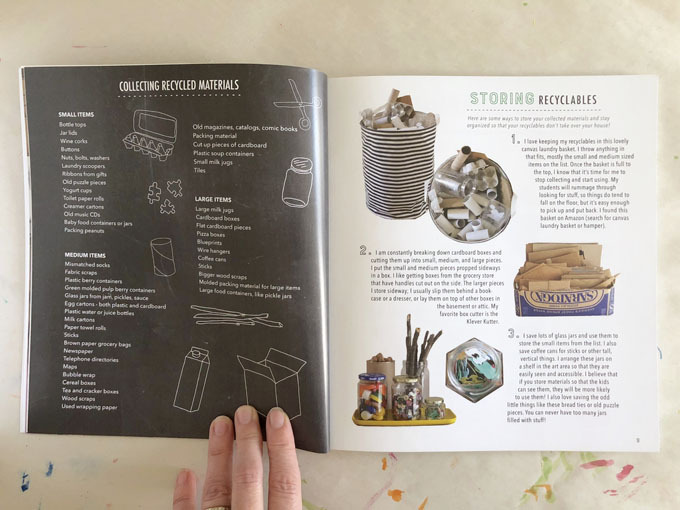 – Ideas on finding the most interesting recyclables. 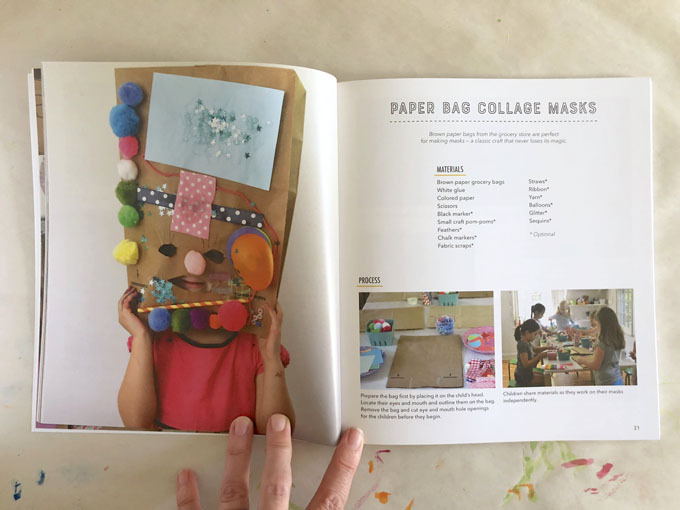 – How best to store your collected materials and display them in your home or classroom so that it isn’t a big mess! 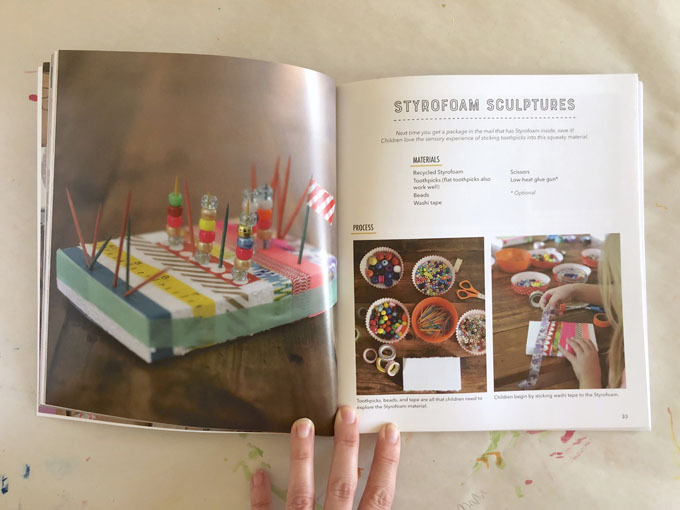 – With a Mater Supply List, you can fill your art shelves with everything you need to do all 20 projects. No running to the craft store mid-project. – All about Color Families and how to set out paint colors that lead to successful mixing (i.e. no brown). 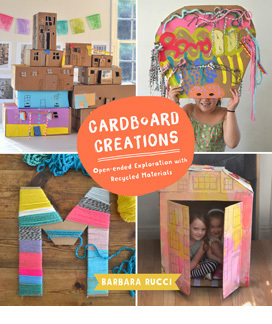 – See Instagram photos from around the word that were inspired by my cardboard creations! Children don’t need fancy supplies to get creative. Believe me. 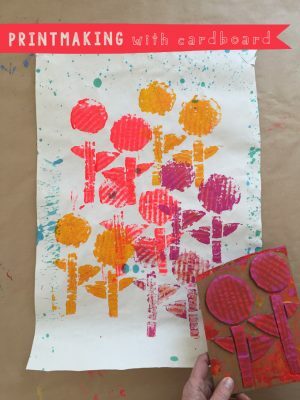 Most kids just want an opportunity to cut, glue, squeeze, splatter, tape, crumple, smush, and paint. The beauty of my projects is that they can start with one idea, and turn it into something else completely. A shoe box theatre can become a boat, a cake can become a rocket ship, a piece of styrofoam becomes a camera. 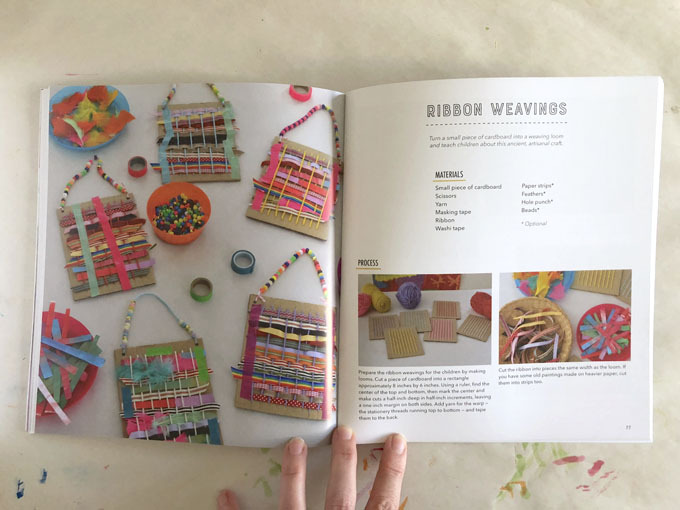 There are lots and lots of craft books out there, but not as many books for young children that celebrate and encourage exploration and originality. Buy my new book here on Amazon. Or on Book Depository if you are outside the U.S. 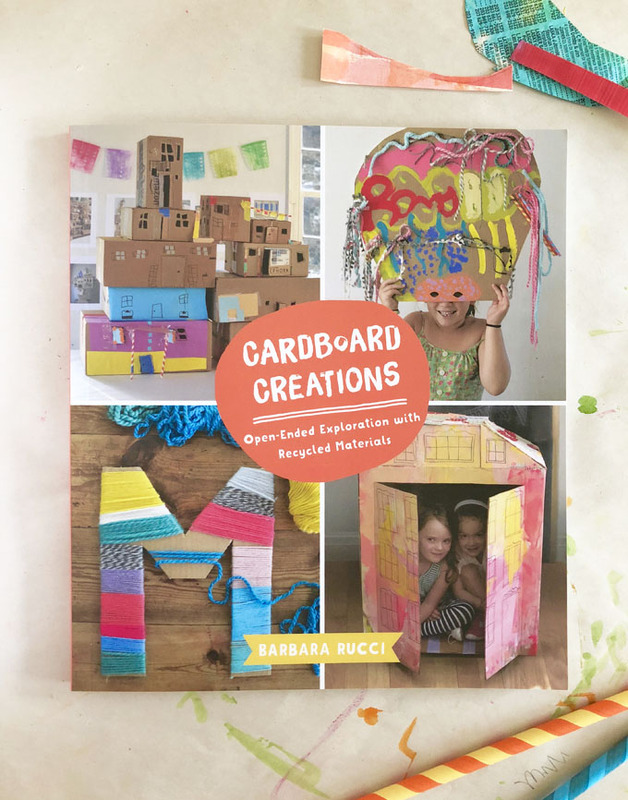 If you love Cardboard Creations, you’ll love my first book! Is it available as e-book as well?